Five months ago we left our big city lives to move back to my husband’s home town to a house in the country. We went from living right smack in the middle of the city, to being surrounded by cows and horses, and frogs that croak so loud at night that you can't wait for sunrise, but then you remember that's when the roosters start to crow. The "city" is 15 miles away, and it consists of a Target, Kohls, Wal-Mart and other small stores. The next closest city, is a 45 minute drive. Quite a change for this city girl! Looking East from our front yard. The sun rises over these mountains! My favorite place is sitting on our front porch watching the sunset. We are surrounded by hills, and I love watching the sun come up over the mountain in the morning, and set over another in the evening. Looking West from our back yard. The actual town we live in has a main street so small you could throw a rock from one end to the other. Going from the greater Los Angeles area to a town of less than 1,000 is different to say the least! I'm loving the country life, but I've got to admit I don't know if I'll ever get used to some things like running into a raccoon while taking out the trash, absolute silence - it's odd how you are so used to the sound of a car driving down the street or an airplane flying over that you miss it, seeing more horses and cows than people, checking the forest service website when you see smoke to find out how close the wildfire is, creepy crawly critters - there are bugs and insects that I had never seen or heard of until moving here, and some seem to think I want to share my home with them! Fortunately no snakes yet. Heaven help me the day I see a snake. You've heard the one about the chicken crossing the road? How about a cow. After we moved, I spent time getting things in place and rearranging over and over again. Scrapbooking took a backseat for awhile, but just this past week I finally sat down and played with paper and glue. 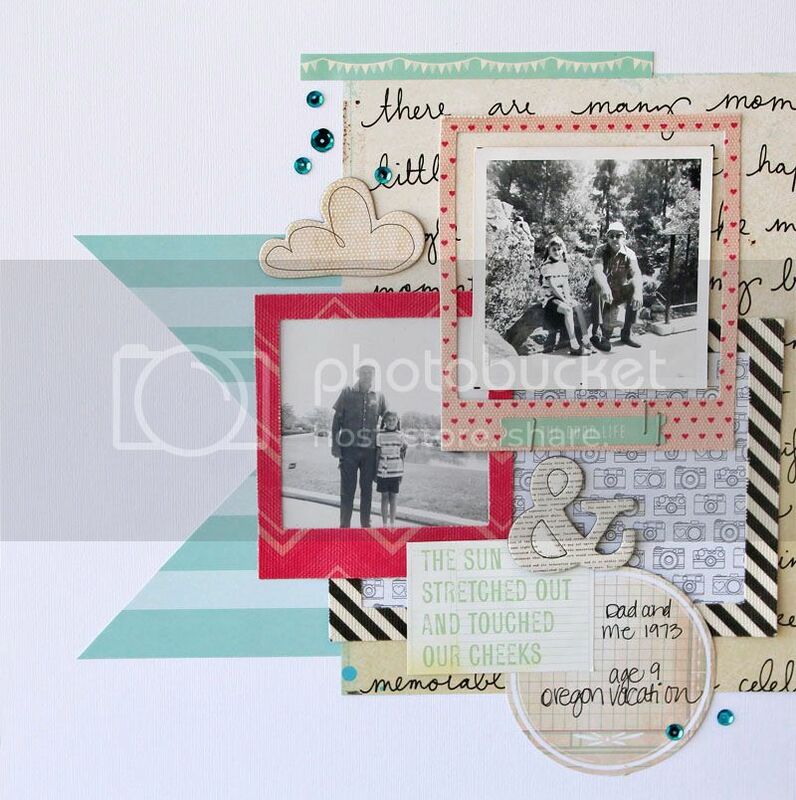 This was for Scraplift Sunday over at the Paper Issues facebook page. PI has lots of fun challenges and tons of inspiration! I've got to admit, it was a little rough getting started again! I sat and stared at a pile of paper with no idea of where to start. Five months of no scrapping will do that to you ;) It didn't take long to get back into the swing of things though, and now have five, yes FIVE layouts complete!! I'll be back soon to share those too. As always, thanks for stopping by, I've missed you! Wow Mary Ann, the photos of your home, yard, and views are gorgeous. I can certainly relate to the adjusting to a small town, including livestock crossing the road and more wildlife around than people! Your home looks so peaceful :) I hope you and your family are finding great enjoyment there. Love to see you scrapbooking again, too!!! I am pretty late to comment on this post. Its been a long time since I check everything I sign to read. And I got your post, and it made me stop. I don't know if you are going to see it, but I decided to comment anyway. It made me stop. Thats right. It did. May be because you said you moved from a big city to the country, or to be more specific because i live in a huge town in southeast Brasil. And like you I wish I could move to some place calmer. I love your pictures. I have enjoyed so much seeing the sunset, and the cow crossing the road! And the trees in your backyard are absolutely gorgeous. I hope you enjoy the calmness of the country like style. I really enjoy your posts. Its not always I can find time to comment on them, but you do a great job. Don't stop!